Manufactured in the PVC-ST this oval/rectangular cover is waterproof. strong and very long lasting. This textile will stay waterproof and strong in the extreme's of winters and the strongest of sunshine so ideal for hot or cold climates. Heat tested to plus 70 and minus 30. Kover-it covers complete with brass eyelets/ shock cord and a 5 year gurantee. 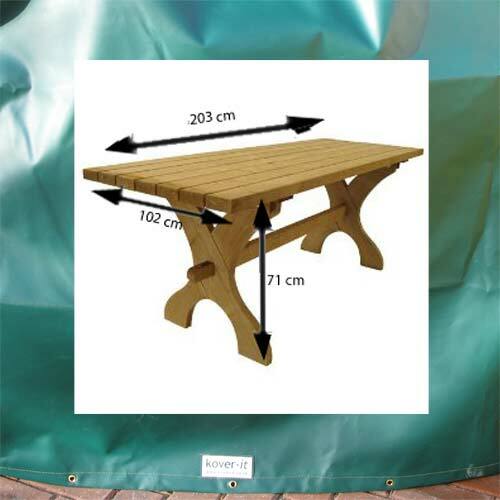 Kover-it bespoke custom manufacture covers in the UK - if you have another size that you require please call us.